San Francisco – California – March 31, 2018. San Francisco oral surgeon, Dr. Alex Rabinovich, is proud to release a new blog post for the 20-something generation in the Bay Area focused on responsibly managing wisdom teeth extraction issues. The post argues that managing the time and cost for wisdom teeth removal may be part of being a young adult. Interested persons can review the blog post on wisdom teeth removal and associated costs by visiting: https://www.oralsurgery-sf.com/2018/02/cost-wisdom-tooth-removal-met-somehow-leaving-cost/. 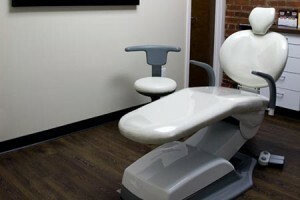 Those seeking even more information on wisdom teeth removal, and those who may need dental implants can visit the sister website at http://www.sfdentalimplants.com/our-advantage/. It should be noted that, if required, wisdom teeth extraction can be done painlessly with the patient asleep under general anesthesia, and postoperative discomfort can be reduced significantly with careful surgical technique and Exparel medication. Here is the background for this release. San Francisco can have a reputation as a place for youth culture. From the 1960s to the present, young adults have flocked to the Bay Area’s most prestigious city for many reasons. Recent young adults, called millennials, have helped create a type of hipster culture in the area. Many could be living away from parents and exercising adult behaviors for the first time. Starting a job and making friends with other grown-ups could be part of the new lifestyle. New responsibilities can take shape such as personally paying for rent, groceries and healthcare. If a young adult did not experience wisdom teeth removal while at home, the cost may fall on their shoulders. Learning to be responsible for tooth pain and scheduling a consultation with a top Bay Area oral surgeon might be a very adult action to take. For this reason, San Francisco oral surgeon Dr. Alex Rabinovich, has released a new blog post specific to young adults. Ignoring pain from wisdom teeth could cause health problems. San Francisco Bay Area millennials managing adulthood for the first time may need to consider the long-term effects of avoiding a responsibility such as wisdom tooth extraction. Instead, scheduling a quick consult with a skilled oral surgeon can be a mature choice. If the cost of wisdom teeth removal is a concern, various billing plans can help make monthly payments affordable. Young adults still under the health plans of parents can find wisdom tooth removal cheaper than expected. Millennials in the San Francisco may still have growing up to do. Taking responsibility for oral health by scheduling a consult for removing wisdom teeth may be part of the path to responsible adulthood.